لايسمح لك بنشر أو بث أو تحميل أو نسخ محتوى بدر سوفت بأي صورة سوى للاستخدام الشخصي غير التجاري مع ذكر المصدر. اذا كنت أحد ناشري أحد البرامج المعروضة علي بدر سوفت وتريد ازالته, من فضلك قم بمراسلتنا من هنا متضمنا اسمك واسم الشركة وعنوان البرنامج والسبب في ازالة البرنامج. سنقوم بالاتصال بك في خلاك 48 ساعة من اجل اتمام طلبك. موقع بدر سوفت يهتم بمعلوماتك الخاصة ويحترمها ويحافظ عليها وعلى سريتها وللمزيد من المعلومات في هذا المجال يرجى زيارة “سياسة الخصوصية“. لايمكن لموقع بدر للبرامج المجانية أن يتعهد بخلوه من الأخطاء وفي حال حدوث أي خطأ أو خلل في الموقع يرجى القيام بالتبليغ عنه وسوف نبذل قصارى جهدنا لإصلاحه في أسرع وقت ممكن، وقد لايسمح أحياناً بالدخول إلى بدر للبرامج المجانية بهدف إجراء إصلاحات أو أعمال صيانة أو عند تقديم محتويات جديدة ولكننا سنعمل على تمكينك من الدخول إلى بدر للبرامج المجانية في أقصى سرعة. نحن لا نتحمل مسؤولية أي خسائر قد تتعرض لها سواء بشكل مباشر أو غير مباشر أو بسبب ناتج عن استخدام بدر للبرامج المجانية. بدر سوفت غير مسؤول عن محتوى المشاركات والتعليقات التي تقوم بكتابتها وينطبق ذلك على حالة خرقك لحقوق الآخرين. أنت تقر على أن أية معلومات أنزلتها من بدر سوفت تكون على عاتقك الخاص ولا يضمن موقع بدر للبرامج المجانية أي نتائج مترتبة على ذلك أو أي أضرار متوقعة. بدر سوفت يحتوي على معلومات ومحتويات من مصادر ومواقع أخرى، لذلك لا يقدم بدر للبرامج المجانية أي ضمانات أو تعهدات لمستخدميه بما يتعلق بتلك المحتويات. This license shall automatically terminate if you violate any of these restrictions and may be terminated by Badr4Soft.com at any time. Upon terminating your viewing of these materials or upon the termination of this license, you must destroy any downloaded materials in your possession whether in electronic or printed format. The materials on katsuratree.net’s web site are provided “as is”.Badr4Soft.com makes no warranties, expressed or implied, and hereby disclaims and negates all other warranties, including without limitation, implied warranties or conditions of merchantability, fitness for a particular purpose, or non-infringement of intellectual property or other violation of rights. Further, Badr4Soft.com does not warrant or make any representations concerning the accuracy, likely results, or reliability of the use of the materials on its Internet web site or otherwise relating to such materials or on any sites linked to this site. In no event shall Badr4Soft.com or its suppliers be liable for any damages (including, without limitation, damages for loss of data or profit, or due to business interruption,) arising out of the use or inability to use the materials on Badr4Soft.com’s Internet site, even if Badr4Soft.com authorized representative has been notified orally or in writing of the possibility of such damage. Because some jurisdictions do not allow limitations on implied warranties, or limitations of liability for consequential or incidental damages, these limitations may not apply to you. The materials appearing on Badr4Soft.com’s web site could include technical, typographical, or photographic errors. Badr4Soft.com does not warrant that any of the materials on its web site are accurate, complete, or current. Badr4Soft.com may make changes to the materials contained on its web site at any time without notice. Badr4Soft.com does not, however, make any commitment to update the materials. 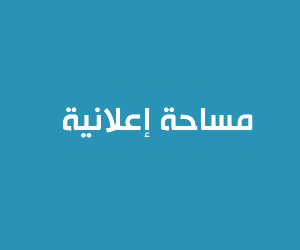 Badr4Soft.com has not reviewed all of the sites linked to its Internet web site and is not responsible for the contents of any such linked site. The inclusion of any link does not imply endorsement by Badr4Soft.com of the site. Use of any such linked web site is at the user’s own risk.